Access multiple electronic devices at one time even when outlets are occupied - simply suggest to Share A Watt. 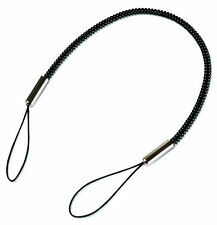 USe with MP3 Player, Blackberry, Mobile Phone, IPod, IPad, Digital Camera,Laptop,Portable Hard Drive and more. The Samsung Universal Vehicle Mount holds your device firmly by attaching it to a windshield, dashboard or rear passenger window and you can even adjust the multi-angle neck for ideal viewing. This vehicle mount lets you multi-task. Condition is Used. Item is sold AS IS . Batteries: Support 90Pcs 18650 batteries(Batteries not included). 3: Support up to 90pcs 18650 batteries, so the real capacity would depend on the battery you use. 3pcs Kitchen Plastic Dough Press Maker Dumpling Pie Ravioli Making Mold Mould. We will do everything we can to resolve the matter if there is a problem. Batteries: Support 90Pcs 18650 batteries(Batteries not included). 3: Support up to 90pcs 18650 batteries, so the real capacity would depend on the battery you use. Output: 12V output, and 5V USB output. PalmOne PalmPak Language Translator Card (m125, m130, i705 & m500 series). Shipped with USPS First Class Package. 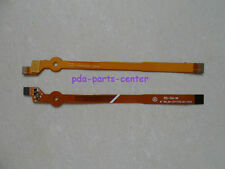 Compaq 253510-B21 Stylus Kit for iPAQ H38xx H39xx H51xx H54xx H55xx - 3-pack. Condition is New. Shipped with USPS First Class Package. PALM Zire 71 Palm Pilot. • Model: Zire 71. • This item is in preowned, tested working condition. MPN: FA932AA#AC3 Description: Mpn: fa932aa#ac3. This auction is for one NEW, in sealed packaging:Stylus Kit for HP iPAQ 900 Series by Hewlett-Packard. Genuine Hewlett-Packard. Kit Part Number: FA122A#AC3. New (without box) HP Universal AutoSync iPAQ USB Serial Cable. 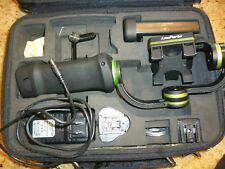 Here we have a MANTA under water probe w/ a lot of cable, as well as two pdas in waterproof cases (only one pda works). The model of the cases is "Amphibian". The yellow case has one broken latch (out of 4) and also the pda in that case does not turn on. For hx4700, hx2000, rx3000, rz1700, hw6000. HP Ipaq h5150. New in box. I cannot guarantee the battery as this is new old stock. Please refer to pictures for the final condition and details. All sales are final. No returns. If you have any questions or need any additional info please feel free to message me anytime prior to bidding. For Sony CLIE NX, NR, SL, SJ and T PDAs. Fellowes "Stowaway" XT Portable Keyboard with manuals & Palm OS disc! Has 2 Booklets and 1 Installation Disc that reads "PALM OS Software Drivers". 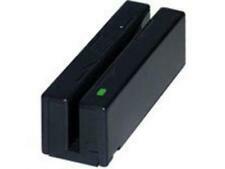 The unit easily attaches to your iPAQ Pocket PC to create a PC expansion slot. As a matter of fact, the industry-standard PC Card slot on the iPAQ Pocket PC is exactly like the PC Card slot found on most notebook PCs. 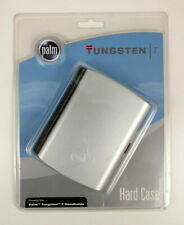  PalmOne Hard Case for Palm Tungsten T5 (3175WW) Brand New / Factory Sealed HTF accessory EAN 7640111462521 Shipped with USPS First Class Package. Included larger battery door. For 210, 211, 212, etc. #15077 NEW IN BOX. Optical Extended Cap for Juniper Systems, Archer, Field PC. THIS ITEM IS NEW, NEVER INSTALLED. PalmOne HotSync Cradle USB (2X). Condition is New. 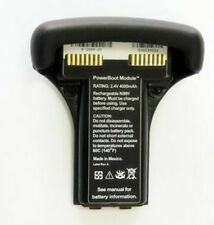 3rd party extended battery for hp iPAQ hx2000 series - hx2110, hx2410, hx2490, hx2790 etc. H3800, H3700, H3600 or H3100 Series. Compaq iPAQ Pocket PC. For Trimble TDS RECON 200 / 400 Series handheld Pocket PC. (Trimble TDS Recon 200, 200X, 400, & 400X). Actual item/device has been pictured.